Dr Karmen Wai is an adult neurologist with an interest in neuromuscular medicine, neurophysiology and neuroimmunology. 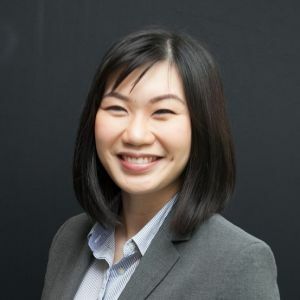 Dr Wai completed her undergraduate medical studies at the University of Adelaide in 2007 and has since undergone training in multiple fields of medicine before specialising in neurology. Dr Wai was admitted as a fellow to the Royal Australasian College of Physicians after completing advanced neurology training at the Royal Adelaide Hospital and Flinders Medical Centre in South Australia. She also holds a fellowship in neuroimmunology and neuromuscular medicine. Dr Wai is an honorary neuromuscular fellow at St Vincent’s Hospital and continues to advance her knowledge in this field by pursuing a Masters degree in this field. Apart from her interest in consulting on neuromuscular and neuroimmunological disorders, Dr Wai also offers electrophysiological testing and consult on general neurology. Dr Wai believes in delivering a personalised and holistic approach to meet the needs of her patients. She values good communication (with both patients and other medical colleagues) in ensuring optimal care.